The variations are only if you want to add extra pegs, pen holder or extra shelves. 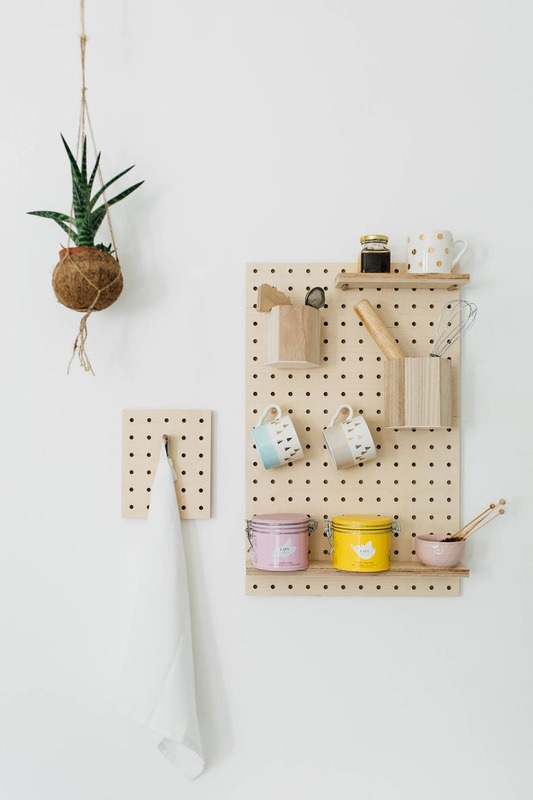 To order only the pegboard and the accessories included ( listed above ), you just have to choose : Sans accessoire & Sans étagère. 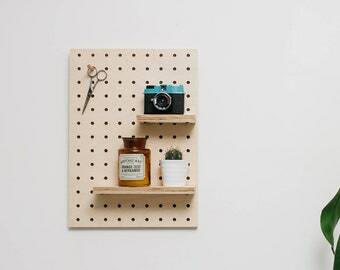 Each pegboard is unique because we choose to product in limited quantities in order to have the best quality possible. 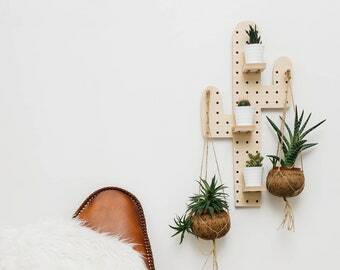 It's for this reason that each pegboard can differ slighty from the pictures showcased. We handpick our wood then a small company from the south of France cuts the boards. 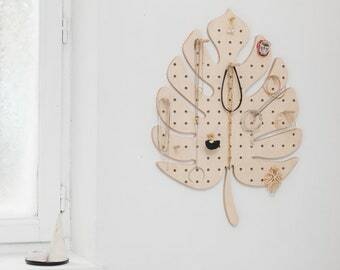 Then we take care of the finishing touches creating your bespoke pegboard. The wood we choose to usem the white birch is know for its resistance and its robustness. Each boards's grooves and knots can vary from one to another. The precision holes are around 0,3 inches / 8mm . Our products are made with love between Bidart and Hasparren. 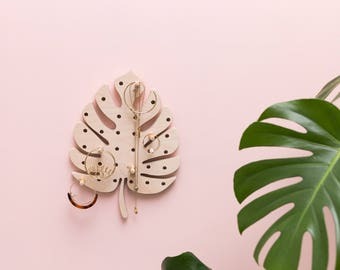 This pegboard is SOOO cute!!! Well packed!! Thank you!! Love it!! Nicely made and just as I had specified. Good quality and looks nice on the wall.